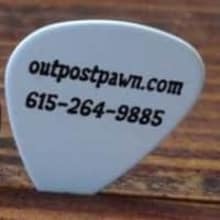 NASHVILLE 'S OUTPOST IS LOCALLY OWNED AND OPERATED! WE HAVE BEEN SERVING THE METRO NASHVILLE AREA FOR OVER 25 YEARS. WE ARE THE MUSICIANS PAWN SHOP!